Being an event planner is not an easy job, and that is for sure. Whether it is a wedding, anniversary, an office party, you name it, everybody would like to see their event being perfect. And everyone will have their requests, more ordinary or unusual, concerning the way they would like the event to be planned. It is enough just to look around at the people we know when they have an event, and you will see just how many details must be covered when you start planning something like this. So an event planner does not have an easy life, especially before an event is finished. He even has to find a reliable bartender for hire, as the guests will keep an eye on the serving, and everything must be done in a professional manner. In case you have an event coming soon in your life, you should know that an event planner can save you from a lot of effort and hustle. All you need to do is to tell him, or her, exactly how you picture your event to be and what would you like to have, for you and your guests. From this point on, the event planner will do almost everything, and you will be able to sit back and relax. Of course, he or she will keep you up to date and let you know when something is up. Also, you can join the planner in picking certain objects, like decorations, flowers, or whatever you may like to get involved in. The point is that all the burden of the event will be taken off your back, which will allow you to be more relaxed and in a better mood when the time come to have fun at it. And since an event is nothing without some delicious dishes and beverages, it is a must that you take care of them as well. Now, when it comes to food, picking the best dishes that will spoil the taste buds of your guests is not that difficult. You should never make risky choices, like choosing something really sophisticated or intriguing, because many of your guests may be fussy when it comes to food, and may end up being hungry. So opt for something elegant, but tasty, something that everybody would enjoy. But when it comes to drinks, things get a bit more complicated. 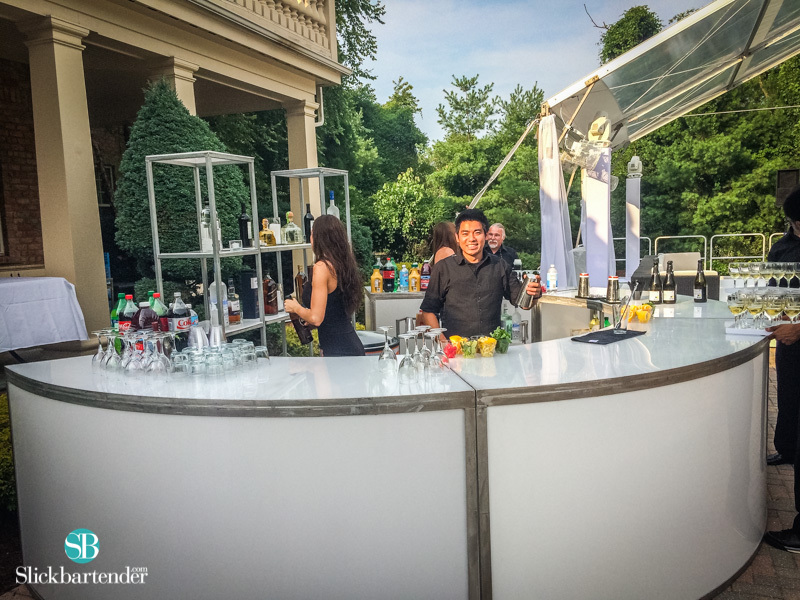 A professional bartender for events may be exactly what you need. It is hard to guess what everyone would like to drink, so someone who knows all beverages very well is more than welcomed. And, why not, treat your guests with some surprising cocktails and mixes. An aspect like this can change the entire atmosphere at your event. Find a flair bartender for hire and you will not feel sorry for making this choice. After eating something good, a high quality drink fits like a glove. As your event planner where you can find the best bartender for hire and go for it. Your guests will thank you later.